As Michael Winerip points out in his commentary below, the line has been drawn between those who believe that a 26 point margin or error is good enough to make high stakes education policy decisions, and those who now ask Cuomo, Bloomberg, Duncan, and Gates: "Have you no shame?" Feb. 28, 2012, 11:18 a.m.
I’m delighted that the New York City Education Department has released its teacher data reports. Finally, there are some solid numbers for judging teachers. Then news organizations did their part by publishing the names of the teachers and their numbers. Miss Smith might seem to be a good teacher, but parents will know she’s a 23. Some have complained that the numbers are imprecise, which is true, but there is no reason to be too alarmed — unless you are a New York City teacher. For example, the margin of error is so wide that the average confidence interval around each rating for English spanned 53 percentiles. This means that if a teacher was rated a 40, she might actually be as dangerous as a 13.5 or as inspiring as a 66.5. There are a few other teensy problems. The ratings date back to 2010. That was the year state education officials decided that their standardized test scores were so inflated and unreliable that they had to use their own complex mathematical formula to recalibrate. One minute 86 percent of state students were proficient in math, the next minute 61 percent were. Albert Einstein once said, “Not everything that can be counted counts, and not everything that counts can be counted,” but it now appears that he was wrong. Even Dennis M. Walcott, the city’s current schools chancellor — who usually can be counted on to do what Mr. Klein did — sounded like a man with qualms. “I don’t want our teachers disparaged in any way, and I don’t want our teachers denigrated based on this information,” he said. At first, when I heard that news organizations were going to publish the list, I was angry, but that has passed. Good has come of this. People have been forced to stop and think about how it would feel to be summed up as a 47, and then have the whole world told. Michael Winerip writes the On Education column for The New York Times. Valerie Strauss asks the billion dollar question and the emperor is buck naked. 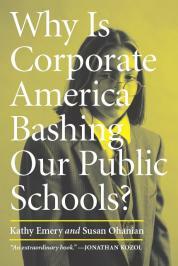 Why don’t top private schools adopt corporate-driven reforms? This was written by Bruce D. Baker, a professor in the Graduate School of Education at Rutgers, The State University of New Jersey. This first appeared on his School Finance 101 blog. Lately it seems that public policy and the reformy rhetoric that drives it are hardly influenced by the vast body of empirical work and insights from leading academic scholars which suggests that such practices as using value-added metrics to rate teacher quality, or dramatically increasing test-based accountability and pushing for common core standards and tests to go with them are unlikely to lead to substantial improvements in education quality, or equity. Rather than review relevant empirical evidence or provide new empirical illustrations in this post, I’ll refer to the wisdom and practices of private independent schools – perhaps the most market-driven segment and most elite segment of elementary and secondary schooling in the United States. Really… if running a school like a ‘business’ (or more precisely running a school as we like to pretend that ‘businesses’ are run… even though ‘most’ businesses aren’t really run the way we pretend they are) was such an awesome idea for elementary and secondary schools, wouldn’t we expect to see that our most elite, market oriented schools would be the ones pushing the envelope on such strategies? If rating teachers based on standardized test scores was such a brilliant revelation for improving the quality of the teacher workforce, if getting rid of tenure and firing more teachers was clearly the road to excellence, and if standardizing our curriculum and designing tests for each and every component of it were really the way forward, we’d expect to see these strategies all over the home pages of web sites of leading private independent schools, and we’d certainly expect to see these issues addressed throughout the pages of journals geared toward innovative school leaders, like Independent School Magazine. In fact, they must have been talking about this kind of stuff for at least a decade. You know, how and why merit pay for teachers is the obvious answer for enhancing teacher productivity, and why we need more standardization… more tests… in order to improve curricular rigor? Blasphemy? Or simply good education! Educators do not respond to the same incentives as businesspeople and school heads have much less clout than their corporate counterparts to foster improvement. 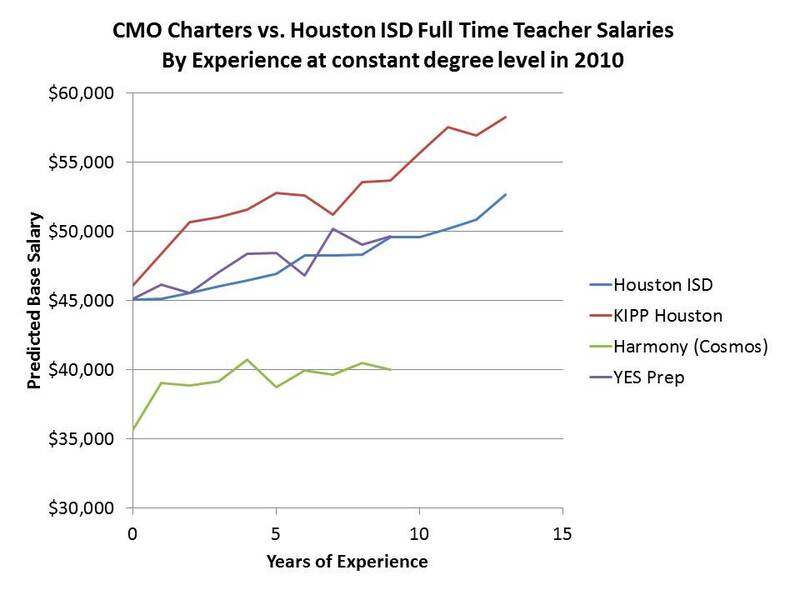 Most teachers want higher salaries but react badly to offers of money for performance. 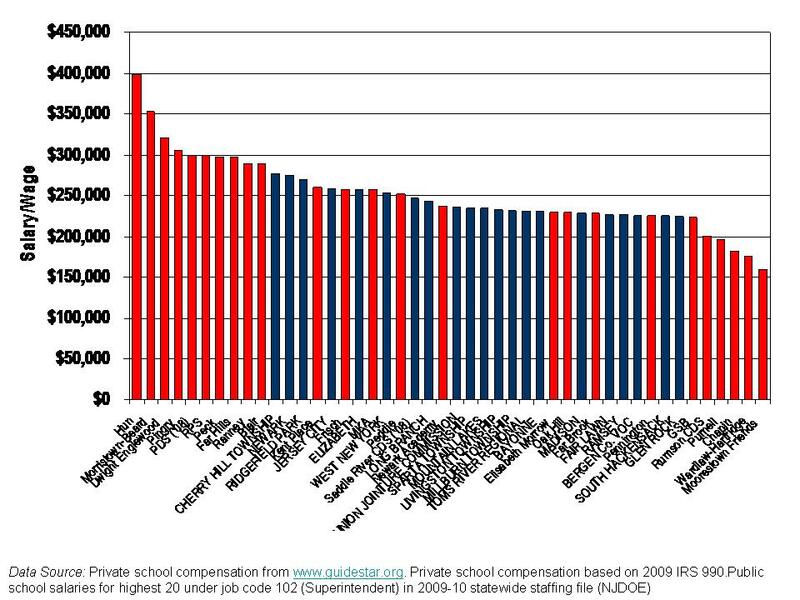 Merit pay, so routine in the corporate world, has a miserable track record in education. 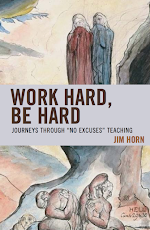 It almost never improves outcomes and almost always damages morale, sowing dissension and distrust, for three excellent reasons, among others: (1) teachers are driven to help their own students, not to outperform other teachers, which violates the ethic of service and the norms of collegiality; (2) as artisans engaged in idiosyncratic work with students whose performance can vary due to factors beyond school control,teachers often feel that there is no rational, fair basis for comparison; and (3) in schools where all faculty feel underpaid, offering a special sum to a few sparks intense resentment. At the same time, school leaders have limited leverage over poor performers. Although few independent schools have unionized staff and formal tenure, all are increasingly vulnerable to legal action for wrongful dismissal; it can take a long time and a large expense to dismiss a teacher. Moreover, the cost of firing is often prohibitive in terms of its damage to morale. Given teachers’ desire for security, the personal nature of their work, and their comparative lack of worldliness, the dismissal of a colleague sends shock waves through a faculty, raising anxiety even among the most talented. How can we allow our leading private, independent, market-based schools to promote such gobbledygook? Why do they do it? Are they a threat to our national security or our global economic competitiveness because they were not then, nor are they now (see recent issues:http://www.nais.org/) fast-tracking the latest reformy fads? Testing out the latest and greatest educational improvement strategies on their own students, before those strategies get tested on low income children in overcrowded urban classrooms? Why aren’t the boards of directors of these schools — many of whom are leaders in “business” — demanding that they change their outmoded ways? Why? Why? Why? Because what they are doing works! At least in terms of their success in continuing to attract students and produce successful graduates. Now, that’s not to say that these schools are completely stagnant, never adopting new strategies or reforms. They do new stuff all the time (technology integration, etc.) – just not the absurd reformy stuff being dumped upon public schools by policymakers who in many cases choose to send their own children to private independent schools. In my repeated pleas to private school leaders to provide insights into current movements in teacher evaluation and compensation, I’ve actually found little change from these core principles of nearly a decade ago. Private independent schools don’t just fire at will and fire often and teacher compensation remains very predictable and traditionally structured. I’d love to know, from my private school readers, how many of their schools have adopted state-mandated tests? Private independent schools pride themselves on offering small class sizes (see also here) and a diverse array of curricular opportunities, as well as arts, sports and other enrichment – the full package. And, as I’ve shown in my previous research, private independent schools charge tuition and spend on a per pupil basis at levels much higher than traditional public school districts operating in the same labor market. They also pay their headmasters well! More blasphemy indeed. 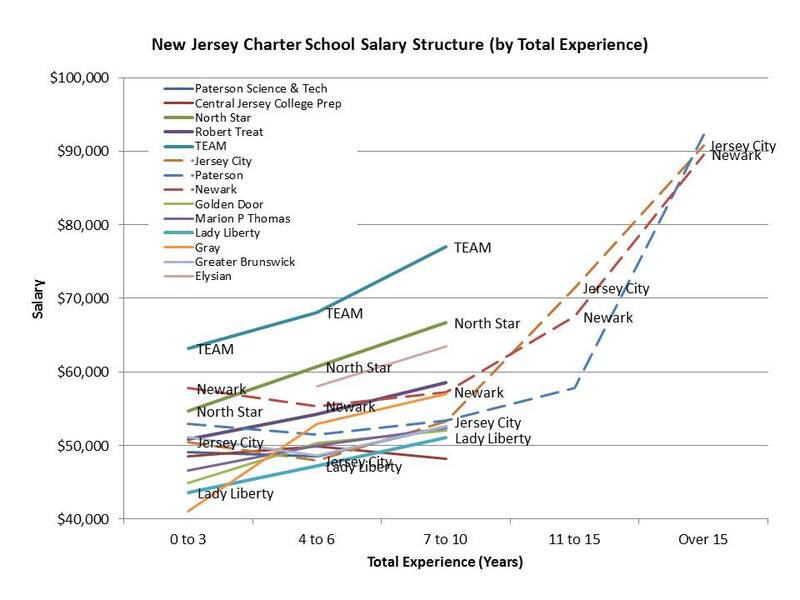 In fact, aside from “no excuses” charter schools whose innovative programs consist primarily of rigid discipline coupled with longer hours and small group tutoring (not rocket science), and higher teacher salaries (here, here and here) to compensate the additional work, private independent schools may just be among the least reformy elementary and secondary education options out there . That’s not to say they are anything like “no excuses” charter schools. They are not in many ways. But they are equally non-reformy. In fact, the average school year in private independent schools is shorter not longer than in traditional public schools — about 165 days. 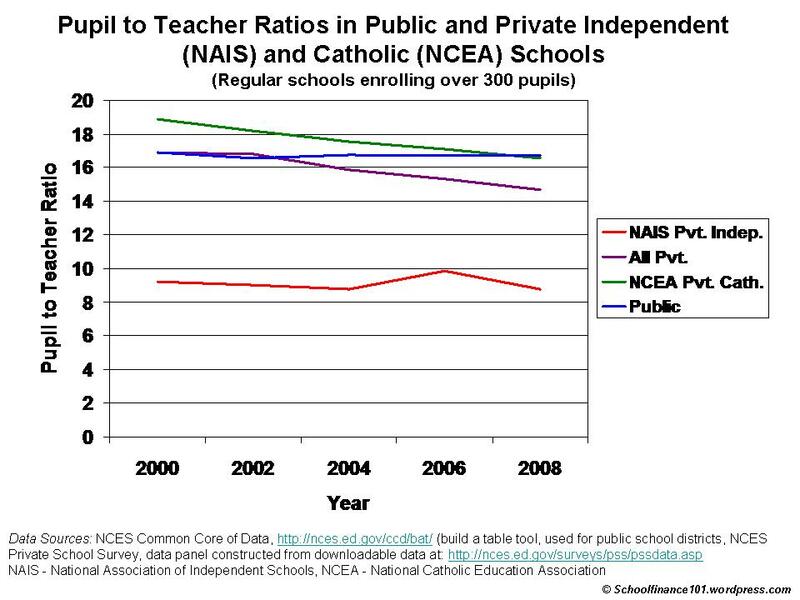 And the average student load of teachers working in private independent schools (course sections x class size) is much lower in the typical private independent school than in traditional public schools. But that ain’t reformy stuff at all, any more than trying to improve outcomes of low income kids by adding hours and providing tutoring. None-theless, for some reason, well educated people with the available resources, keep choosing these non-reformy and expensive schools. Some of these schools have been around for a while too! Maybe, just maybe, it’s because they are doing the right things – providing good, well rounded educational opportunities as many of them have for centuries, adapting along the way. Perhaps they’ve not gone down the road of substantially increased testing and curriculum standardization, test-based teacher evaluation – firing their way to Finland — because they understand that these policy initiatives offer little to improve school quality, and much potential damage. Perhaps there are some lessons to be learned from market-based systems. But perhaps we should be looking to those market based systems that have successfully provided high quality schooling for centuries to our nation’s most demanding, affluent and well educated leaders, rather than basing our policy proposals on some make-believe highly productive private sector industry where new technologies reduce production costs to near $0 and where complex statistical models are used to annually deselect non-productive employees. Just pondering the possibilities, and still waiting for Zuck (an Exeter alum) to invest in Harkness Tables for Newark Public Schools and class sizes of 12 across the board! 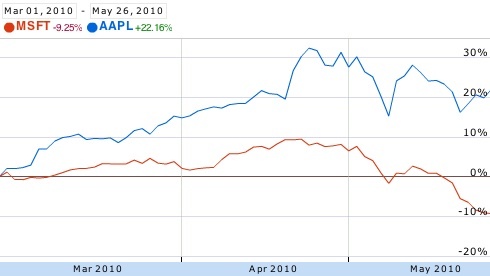 The chart above shows market capitalization trends for Apple and Microsoft over just two months in 2010. 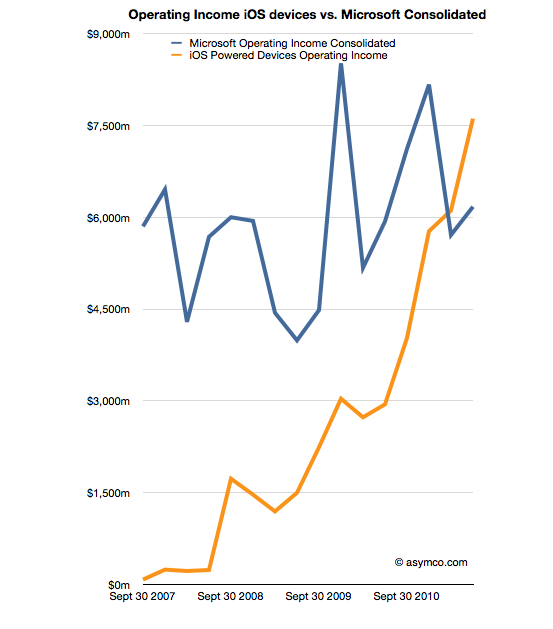 To show that this trend of Microsoft's failing hegemony is not a fluke, here is another showing operating income from devices running Apple and Microsoft systems from 2007 to 2011(click either to enlarge). So while Bill Gates's company has established its clear descent from the high tech heights in recent years, Bill has plunged into arenas for which he knows even less, though you would never know it based on his consistent levels arrogance, petulance, and patronizing attitudes. Microsoft's in-house response to its own leadership failure and loss of market share has been to double the percentage of its employees in the lowest rung of company performers (from 10 to 20 percent), cut in half the percentage of top performers (from 20 to 10 percent), and to tie these salaries to their performance levels. In short, punish the workers for the failure of leadership in the company to do anything other than produce crap products. How does that [KIPP school] compare to a normal school? Well, in a normal school teachers aren’t told how good they are. The data isn’t gathered. In the teacher’s contract, it will limit the number of times the principal can come into the classroom—sometimes to once per year. And they need advanced [sic] notice to do that. So imagine running a factory where you’ve got these workers, some of them just making crap, and the management is told, “Hey, you can only come down here once a year, but you need to let us know, because we might actually fool you, and try to do a good job in that one brief moment. Since 2009 Team Gates has been working overtime to come up with a way to break the teaching profession in order to throw open the door to the KIPP and KIPP-like corporate teaching model, which requires a 60-80 hour work week within the KIPP pressure cookers. Their solution is part of Race to the Top, which mandates teacher evaluation schemes using student test score gains to punish and reward teachers and to keep their noses to the grindstone. And so Gates's op-ed last week in the New York Times should be read as one side of the good cop-bad cop game that is playing out, as the reckless and ridiculous teacher evaluation schemes are being shoved forward. Gates as good cop is all about coming to the rescue of teachers whose professional reputations are being being treated as fodder for the the corporate media. Gates is perfectly willing to pull back from the public humiliation involved in publishing these phony and error-ridden reports if teachers would simply be willing to accept the results in private. That is why Bill Gates makes me throw up. Gates's brazen foolishness epitomizes the chief reason that American K-12 education will continue to crater as long as these corporate idiots remain in charge of federal and state education policies, thus keeping us distracted from the real problems. For anyone who believes that we can humiliate and bully our way to educational excellence, I have some excellent Windows products to sell you, at a huge discount. Common core standards/national tests = a classic grassroots movement? How can anybody doubt this? The Common Core/National tests movement was a classic spontaneous grass roots movement. Who can forget the many meetings, the sit-ins, the marches and the signs carried by thousands of teachers, students, and parents all over the United States: "Please sir, more tests!" "TESTPREP = EDUCATION!" "Give us standards! ONE SIZE FITS ALL!" "THE HELL WITH PIAGET" "Ours is not to reason why ...."
Resolution submitted to NCTE opposing common core standards and national tests. Did not survive NCTE Resolutions Committee, was not presented to NCTE members for voting. Submitted to National Council of Teachers of English, Committee on Resolutions, via e-mail, on October 10, 2011, for consideration during the Annual Convention in Chicago, Illinois. The movement for national standards and tests is based on these claims: (1) Our educational system is broken, as revealed by US students' scores on international tests; (2) We must improve education to improve the economy; (3) The way to improve education is to have national standards and national tests to reveal whether standards are being met. Each of these claims is false. (1) Our schools are not broken. The problem is poverty. Test scores of students from middle-class homes who attend well-funded schools are among the best in world. Our mediocre scores are due to the fact that the US has the highest level of child poverty among all industrialized countries. (2) Existing evidence strongly suggests that improving the economy improves the status of families and children's educational outcomes. (3) There is no evidence that national standards and national tests have improved student learning in the past. No educator is opposed to assessments that help students to improve their learning. We are, however, opposed to excessive and inappropriate assessments. The amount of testing proposed by the US Department of Education in connection to national standards is excessive, inappropriate and fruitless. The standards that have been proposed and the kinds of testing they entail rob students of appropriate teaching, a broad-based education, and the time to learn well. Moreover, the cost of implementing standards and electronically delivered national tests will be enormous, bleeding money from legitimate and valuable school activities. Even if the standards and tests were of high quality, they would not serve educational excellence or the American economy. * alert its members to the counter-productiveness of devoting time, energy and funds to implementing student standards and the intensive testing that would be required. Publicly humiliating teachers is wrong but decades of measuring test scores, students and policies like Race to the Top have made it more difficult to discern right from wrong - a dangerous path indeed. It is time to stand up for the New York City teachers and public school teachers all across the country who are being targeted as scapegoats by failed social and economic policies. And at Public School 29 in Cobble Hill, Brooklyn, where many young parents move to send their children, four of the teachers’ ratings were above average, seven were average and five were below. The New York City Education Department on Friday released the ratings of some 18,000 teachers in elementary and middle schools based on how much they helped their students succeed on standardized tests. The ratings have high margins of error, are now nearly two years out of date and are based on tests that the state has acknowledged became too predictable and easy to pass over time. But even with those caveats, the scores still provide the first glimpse to the public of what is going on within individual classrooms in schools. And one of the most striking findings is how much variation there can be even within what are widely considered the city’s best schools, the ones that each September face a crush of eager parents. At Public School 321 in Park Slope, Brooklyn, for example, 10 teacher ratings were above average, 13 were average and 5 were below. At Public School 89 in TriBeCa, one of six rated math teachers received higher-than-average rankings, a lower rate than in the city as a whole. In many cases, teachers received two career ratings, one for math and one for English. The principal cause of the wide variation within schools is the methodology of the ratings, which compares teachers with similar student demographics and scores. For teachers in schools with high-achieving students, good test results are often not good enough, at least by the standards set by the formula. The data, for example, showed 73 cases in which teachers whose students produced consistently outstanding test scores — at or above the 84th percentile citywide — were nonetheless tagged as below average. The reason? The formula expected even better results, based on the demographics and past performance of the students. While the formula is only one aspect of teacher evaluations, the system represents a sea change in that teachers of such high-performing students will be held accountable for student improvement even if their students are far from failing. In one extreme case, the formula assigned an eighth-grade math teacher at the prestigious Anderson School on the Upper West Side the lowest possible rating, a zero, even though her students posted test scores 1.22 standard deviations above the mean — normally good enough to rank in the 89th percentile. Her problem? The formula expected her high-achieving students to be 1.84 standard deviations higher than the average — roughly the 97th percentile. 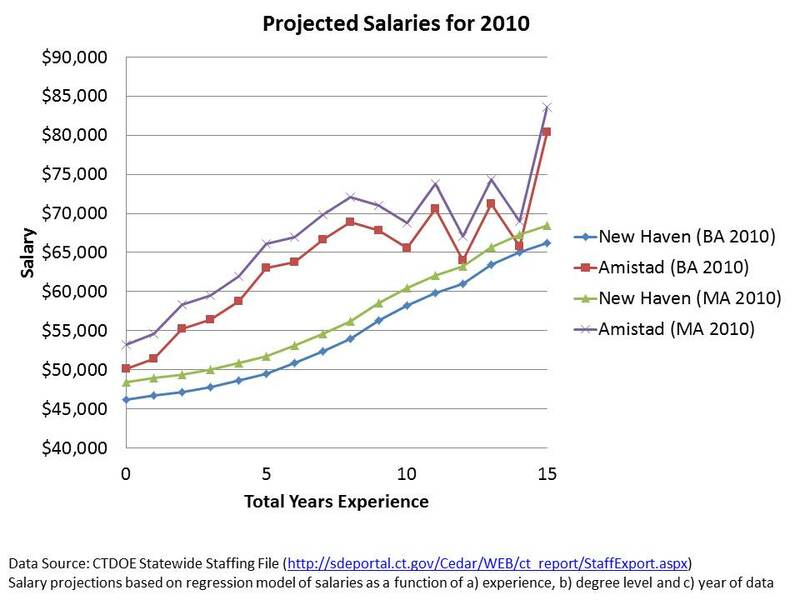 Not all teachers who work with the city’s better-off students can be “above average,” said Sean Corcoran, an associate professor of educational economics at New York University who has written about the city’s scores, developed through a system called value-added modeling. An earlier version of this article misspelled the surname of a parent at Public School 333 as Khan. The PBS NewsHour this Friday evening featured a music program that brings music lessons to a few lucky students in low-income neighborhoods in New York City. Modeled on a program in Venezuela, Harmony, supported by private philanthropy, is helping to raise test scores, improving reading and math skills and keeping kids in school. There are "no excuses" for wasting billions of dollars on test prep, data mining and teacher bashing when meaningful programs in the arts and music have a proven track record of results. Meanwhile, the corporate privatizers, our President, Congress and governors all across the country remain tone deaf when it comes to what really works for children. Instead, they continue to blindly perpetuate failed policies that are leaving millions of children behind while robbing them of their futures. That the kids are getting top scores does not surprise Placido Domingo. Watch NY Arts Program Brings 'Harmony' to Low-Income Students on PBS. See more from PBS NewsHour. PLACIDO DOMINGO, musician: Music is mathematics. Everything, it goes into numbers. A bar can have four, eight, 16, 32 and 64, depending on the speed of the notes. But once you are playing, once you are singing, that disappears. The mathematics stop, and it comes all the feeling. JOHN MERROW: Harmony is modeled on a highly successful music education program in Venezuela. It's called El Sistema, and it's helped hundreds of thousands of the country's neediest children. For 36 years, El Sistema has inspired children to stay in school by giving them free instruments and three to four hours of music instruction every day. PLACIDO DOMINGO: This education, it has been just not only good for music, but good for society and good for all these kids, and they will never dream to be musicians that they are. JOHN MERROW: With funding provided by the government, El Sistema helps to support the country's 130 children's orchestras and 288 youth orchestras. Gustavo Dudamel, one of the more celebrated graduates of El Sistema, is now the conductor of the Los Angeles Philharmonic. The program has produced scores of accomplished musicians, but that's not the primary goal. ANNE FITZGIBBON: In Venezuela, they will refer to their program not as a music program, not as a cultural program, but as a social program, because, first and foremost, that program is about developing the child. It's first about the child. It's second about the music. JOHN MERROW: Fitzgibbon would like to reach more children with Harmony, but across the country, funding for music and arts programs is tight. 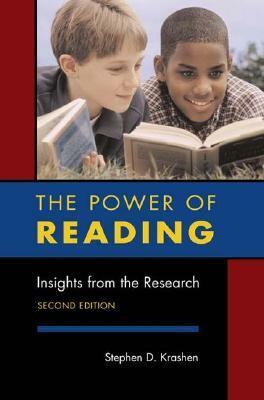 ODELPHIA PIERRE, teacher: Everyone is so focused on the tasks, the reading, the math, that I think somewhere along the line, we think, well, you know what, they don't really need art. They don't really need music. ANNE FITZGIBBON: What I want people to understand is that music is so much more profound than just standing on the stage and blowing air through a horn. It's about learning to commit yourself to something and learning that if you invest your time and your efforts in something, it's worthwhile, that something really positive will come out on the other end. JOHN MERROW: Tonight, the Harmony students are learning just how far music can take them as they meet their conductor, Placido Domingo. PLACIDO DOMINGO: I'm so proud of and happy to be with you today. And what is one of the most beautiful things that we have in common, of course, is music. And how lucky, how lucky you are. They are just wonderful kids. And I would like to hear them play, you know? And it will be -- I know at what level they might be, but you might be very surprised, you know? I think they have a beautiful life in front in them with music. When the swindlers of Wall Street joined the education industry to try to make American schools a corporate revenue stream that could not be outsourced, no one who had been watching their cynical maneuvering doubted that teacher professionalism would be the first line of attack in breaking any potential resistance to their charterizing plan. 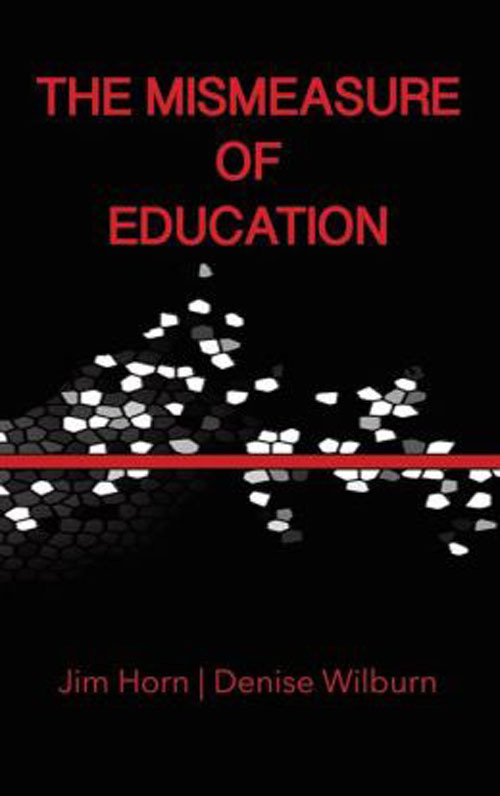 With employment and job insecurity dependent upon the vagaries of test score gains, the Business Roundtable's education industry would have control of not only how learning is mismeasured, but also what is taught and how it is taught. The test would be the chief tool of control. The ratings, known as teacher data reports, covered three school years ending in 2010, and are intended to show how much value individual teachers add by measuring how much their students’ test scores exceeded or fell short of expectations based on demographics and prior performance. Such “value-added assessments” are increasingly being used in teacher-evaluation systems, but they are an imprecise science. For example, the margin of error is so wide that the average confidence interval around each rating spanned 35 percentiles in math and 53 in English, the city said. Some teachers were judged on as few as 10 students. Education officials cautioned against drawing conclusions from numbers that are meant to be part of a broader equation. Teachers will be rated as “ineffective, developing, effective, or highly effective.” Forty percent of their grade will be based on the rise or fall of student test scores; the other sixty percent will be based on other measures, such as classroom observations by principals, independent evaluators, and peers, plus feedback from students and parents. The ratings, which began as a pilot program four years ago to improve instruction in 140 city schools, have become the most controversial set of statistics released by the Bloomberg administration. They came out after a long legal battle and amid anguish and protest among educators; on Twitter posts, some compared their release to a modern-day witch hunt. “I believe the teachers will be right in feeling assaulted and compromised here,” Merryl H. Tisch, the chancellor of the State Board of Regents, said in an interview. “And I just think, from every perspective, it sets the wrong tone moving forward.”. . . .
We are on the brink of bankruptcy... and he wants a longer school year? We have the highest poverty rate among industrialized countries, a more powerful predictor of academic success than any other... and it never comes up? We have only 75 schools out of 600 in OC with fully functioning/staffed libraries... and we are surprised by low reading scores? He holds his "summit" at a time when teachers are teaching... so he won't get laughed out of the room. The proposal to lengthen the school year ( “O.C. education chief: students need more school,” Feb. 23) is intended to help the US “compete with countries like Japan, Korea and China.” In terms of educational achievement, only one factor is preventing us from doing this, and it is not the length of our school year. The crucial factor is poverty. Studies show that American students from well-funded schools who come from middle-class families outscore students in nearly all other countries on international tests. Our average scores are less than spectacular because the US has the highest percentage of children in poverty of all industrialized countries (over 21%; in contrast, high-scoring Finland has less than 4%). Poverty means inadequate nutrition, inadequate health care, exposure to environmental toxins, and little access to books, all of which are strongly associated with lower school performance. If all of our children had the same advantages middle class children have, our test scores would be at the top of the world. Go to Climate Reality and support these high school students in calling out the propagandists at the Heartland Institite. Last week the New York State Education Department and the teachers’ unions reached an agreement to allow the state to use student test scores to evaluate teachers. The pact was brought to a conclusion after Governor Andrew Cuomo warned the parties that if they didn’t come to an agreement quickly, he would impose his own solution (though he did not explain what that would be). He further told school districts that they would lose future state aid if they didn’t promptly implement the agreement after it was released to the public. The reason for this urgency was to secure $700 million promised to the state by the Obama administration’s Race to the Top program, contingent on the state’s creating a plan to evaluate teachers in relation to their students’ test scores. The new evaluation system pretends to be balanced, but it is not. Teachers will be ranked on a scale of 1-100.